THE NEWS COMPANY Vice Media has acknowledged that it had allowed a “detrimental ‘boy’s club’ culture” to flourish and had failed to protect women employees from harassment. A statement from Vice said three employees had been dismissed after “multiple instances of unacceptable behaviour” emerged. The revelation comes after The New York Times published an in-depth examination of the company’s culture yesterday, where it uncovered four settlements against Vice employees for harassment or defamation. It said it had interviewed more than 100 past and present employees and heard complaints from dozens of women. The statement, signed by Vice co-founders Shane Smith and Suroosh Alvi, said the company was continuing to investigate complaints and had taken several steps to deal with what some women called a “toxic” culture. It was the latest high-profile instance of harassment allegations – in politics, the entertainment world and the media – leading to dismissals, resignations or career-ending reputational blows. 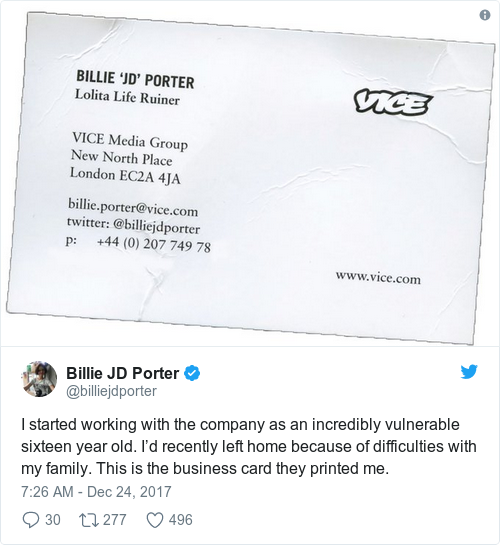 But unlike many of the earlier cases, which often involved men now in their 50s, 60s or 70s, Vice is a relatively recent start-up, considered a hip and edgy workplace with many workers in their 20s or 30s. 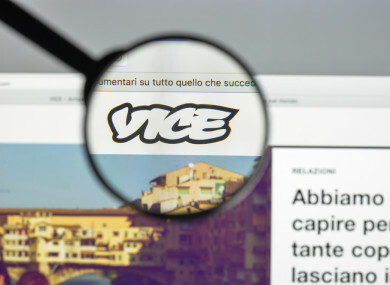 In its statement, the company pinned its failures partly on “the impact of our rapid growth” – Vice has grown in two decades from a fringe magazine with punk sensibilities to a global media company worth nearly $6 billion (just over €5 billion). But it said it was not making excuses. It listed steps it had taken to address the allegations, including strengthening its training and reporting processes, committing to pay equity before 2019, and creating an advisory board with the likes of feminist icon Gloria Steinem as members. The Times told the stories of one woman who said she had been forced to touch a co-worker’s crotch while at a company event; another who said a fellow employee had grabbed her and tried to kiss her; and a third who said she was fired after rejecting advances from a company executive. More than two dozen other women, according to the Times, said they had “experienced or witnessed sexual misconduct,” including unwanted kisses or groping. It described what it called a “top-down ethos of male entitlement at Vice, where women said they felt like just another party favour” in a company where partying was a deeply ingrained part of the culture. Email “Media firm Vice apologises for 'toxic boy's club' culture”. Feedback on “Media firm Vice apologises for 'toxic boy's club' culture”.